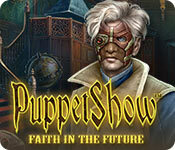 PuppetShow: Faith in the Future is rated 2.5 out of 5 by 4. Rated 3 out of 5 by cathybobcat from MEDIOCRE AND SHORT I have all of these, some in CE and some in SE and think this was the most disappointing of them all, as well as the shortest. There were parts I enjoyed and many I did not. The characters are very cartoonish, shallow, and unconvincing. They came across in an extremely juvenile manner. The voices are the biggest turn off about them, especially Miriam's, whose was so whiney and phony. I got sick of listening to her. It was like finger nails on a blackboard, so I muted the voices. There are only so many story lines that can be used, so I didn't mind the story and dealing with the duos, even though I thought it was lacking and childish. The dynamics of gameplay is what takes precedence over the story for me. 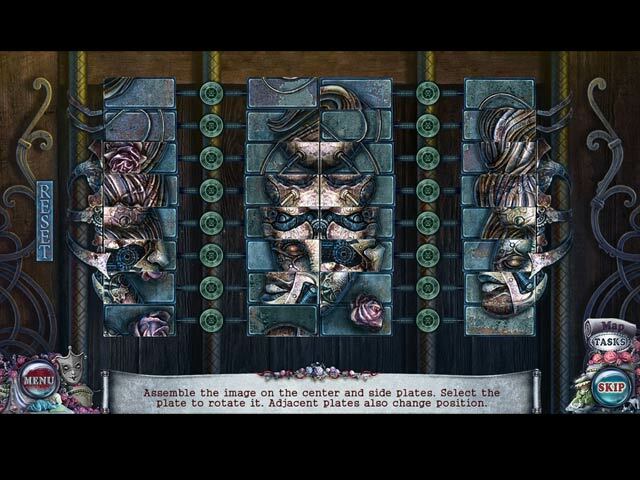 The graphics are excellent and atmospheric and typical of this series. You are not overwhelmed with the collecting of inventory for everything. You have the option of choosing your character. There is the clicking on of conversations, which is an annoyance because it is senseless and makes no difference in this game and is also time consuming. The going back and forth was not in excess. There didn't seem to be that many scenes, so maybe that is why they added all of the conversation and puzzles, so it would lengthen what should have been a longer and more quality game had they put more effort into this. There were some full HOS that were quite good, but they were outnumbered greatly by all of the mundane mini games. There were a few mini hos that are nothing but a waste....finding a few items. There are only a few items in them to begin with, so they are right there in front of you. It cheapens a game. 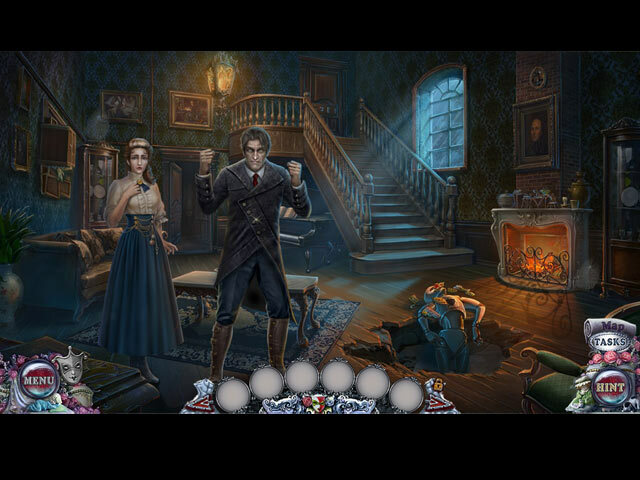 Too much of the gameplay is taken up with the mini games, which I highly disliked having an overabundance of. You're either doing them or skipping them. It was too many, often one right after another, taking up so much time in what is a very short game. Even though many of them are quick and doable, it was still excessive. It takes away from the story as well as the gameplay, creating an imbalance. Your collectibles are very limited in the CE version. There are piggy banks to find that deliver coins that you can use to buy mechanical toys for a mechanical cat. It is not very impressive. There are also some morphs which I care nothing about. Unless you can see them, you spend your time staring at a screen becoming almost hypnotized, which is not my idea of a good time. I neglected to even try to find them. Probably the biggest disappointment of all is the incredibly short length of the Bonus...unbelievable. It is not CE worthy nor worth the price for it. It is a cheat. The BC was nothing but a few new scenes....nothing new or different to add to the story....had a few added hos (one was a stencil that was very interesting and creative). There were too many mini games... one where you are mixing a multi potion, which I hate. It consumed even more of that short BC time. The SE is sufficient just fine as the main story ends well without the unnecessary BC in the CE, which to me was just a continuation of the same story and ending. There isn't anything adequate to warrant this as a CE worthy game, particularly the lack of a proper length for the entire game, so I think the SE is a better buy. There are better games and worse games. I think this one falls in between the two. Graphics and atmosphere alone do make it enjoyable. Rated 2 out of 5 by Granny_Gruff from Hardly Enough Story For an SE Your friend, Miriam, has sent you an invitation to her home. Her letter was barely coherent and you are worried about her. 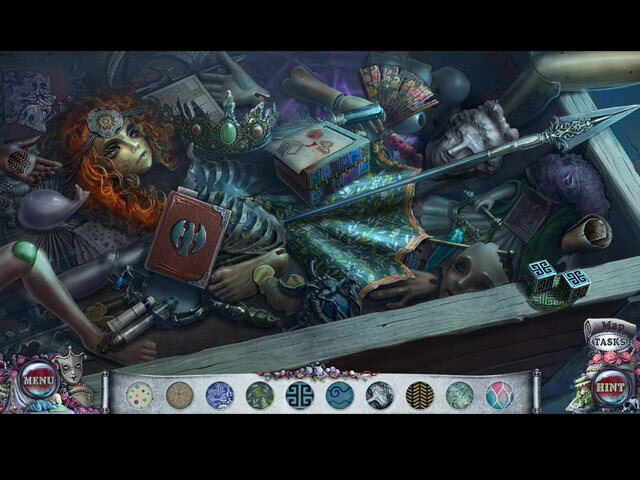 Before you can even enter the house, you have to solve puzzles and collect masks to get through the door. Your troubles have only just begun. Good stuff: There are puzzles galore, a bit of variety in the HOPs, the usual artwork we expect from this series, and minimal story. At least they kept this new PS as an SE. Bad stuff: There will be the usual bits of confusion that seem to pepper these games along with the expected plot twist that also seems to run to the mundane. Bottom line: You will have a very good idea of where you are headed by the end of the Demo. At that point you just need to decide if you want to follow through or retire to the sidelines. I wasn't impressed with anything I saw in the game. It is barely mediocre for an SE. I pass.